Alyson La is about to be a mom but being pregnant didn’t stop her from learning to code. As a new analyst on Github’s engineering team, Alyson decided to take Hackbright Academy’s Intro to Programming course so she could better communicate with the engineering team she worked with. 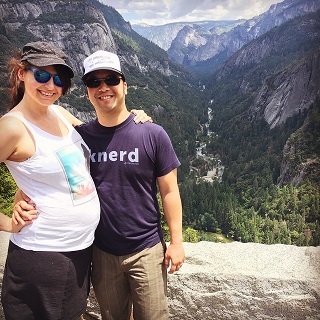 Me & my husband (and my bump) at Yosemite this summer. What motivated you to learn to code and enroll in Intro to Programming? I had been dabbling with code projects for the last couple years, however, in Feb ’15 I moved from an accounting position at GitHub, to a data analyst role on an engineering team. 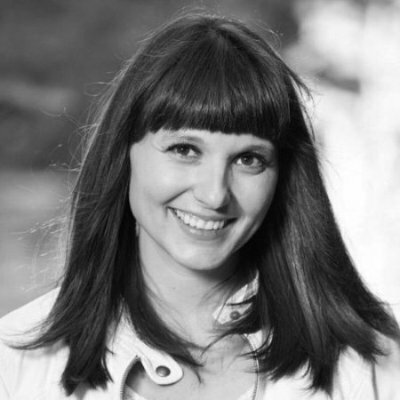 Transferring to the new role gave me increased motivation to enroll in the course; my goal was to level up my code skills and build up my technical vocabulary to be able to better understand and participate in engineering conversations. How many months pregnant were you while in the class? I was in the summer course, so I was 5 to 6 months pregnant. Being pregnant was actually a big motivation for me to take the class, because I knew that soon I wouldn’t have nearly as much free time! What did you learn in the class? Lots! I learned the foundations that I had previously skipped. I’m kind of embarrassed to say it, but even though I had been learning to code for a bit of time, I was mostly following tutorials or copying and pasting code snippets; so I hadn’t really written much code myself. 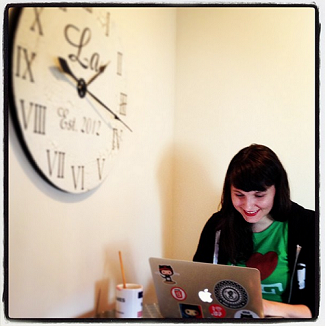 Alyson La went from being an accountant at GitHub to working with engineering teams as a data analyst. In the class we learned how to write function definitions and conditional statements, then practiced those 25 different ways. We practiced concepts that I had heard of before but never used in real life. Like how to parse data in lists and dictionaries, import modules, and when to use a for loop vs. while loop. We practiced concepts that I had heard of before but never used in real life. I had known about Hackbright’s full-time fellowship program for a while but found out about the part-time summer session via a tweet and blog post by Melissa Fabros. Is coding what you thought it would be like? I’d have to say it’s harder than I thought to figure out how to solve a problem from scratch. There were days I would leave class and my head would hurt – in a good way though! Has taking the course helped you at your job? Yes, I feel more confident working alongside engineers in being able to read and contribute to the codebase and better understand what is happening in pull requests. Also, I’ve gotten to practice using conditionals in various forms to analyze data; and now with a foundation in Python, dabbled with some Python open source data projects. I feel more confident working alongside engineers in being able to read and contribute to the codebase and better understand what is happening in pull requests. Any advice to others considering to learn to code? Just do it. It’s challenging, but economically and intellectually empowering. I’m hoping to continue to level up as a Data Analyst while juggling this whole motherhood thing. If you have a daughter, do you plan on doing anything to encourage her to pursue STEM? I’m having a son but yes, I definitely plan to teach him and any potential future children computer literacy in the form of problem solving using code and how fun it can be to build things! Also, whenever I visit my nine-year old nephew and eight-year old niece (Autumn, pictured right), I try to work on a code project with them. Most recently I taught them how to use the web inspector to hack website background colors and together we built an animated CSS robot. Update: Alyson’s son Harrison Francis La was born on September 19, 2015 — Mom and baby are both happy and healthy! 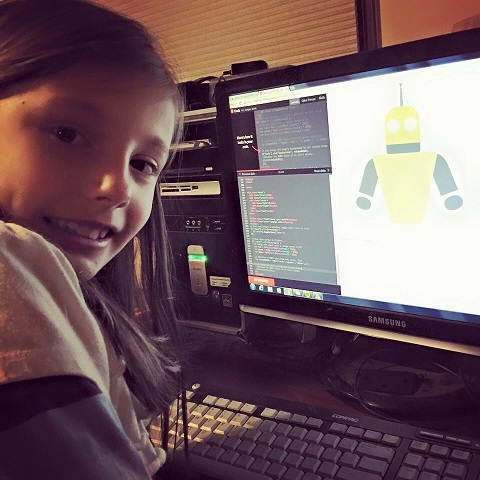 Empower yourself and learn the fundamentals of coding! Info Session for our upcoming Intro to Programming night courses is this Thursday, June 9th! Save your spot below.